I love mojo potatoes from Shakey’s and this is my homemade version of it. It’s not an exact recipe, add more or less of the spices and seasonings as you like. 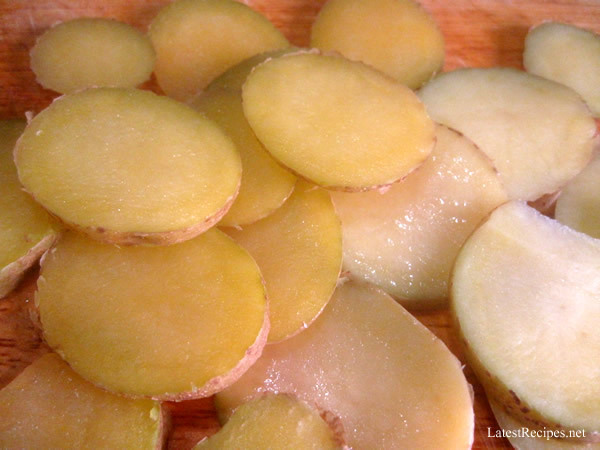 I steamed the potatoes to pre-cook it, it make it easier to cut into thin rounds and it’ll only take a short time to fry them; others boil or bake it first and there are some recipes that just use raw potatoes. 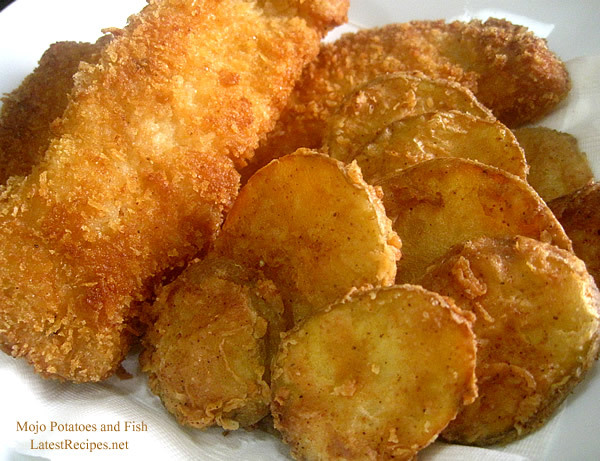 These are perfect with breaded fish or fried chicken! Prepare the steamer. Wash the potatoes thoroughly. Lightly prick with fork and put in the steamer. Steam for 15 minutes. 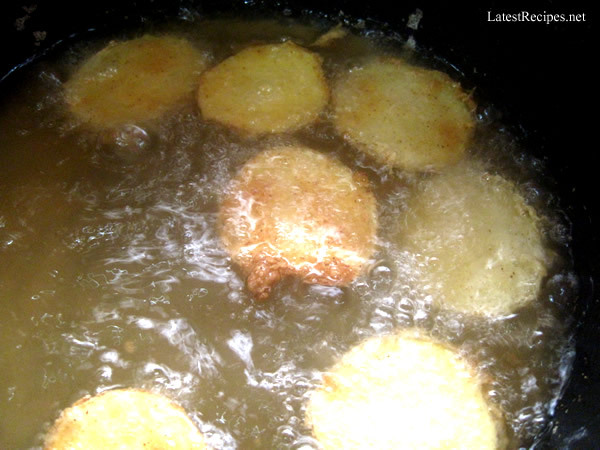 Take potatoes out from the steamer and let cool to the touch, then cut each potato into ¼" rounds. Stir together the flour, cayenne, paprika, garlic powder, salt and pepper in a shallow bowl or plate. 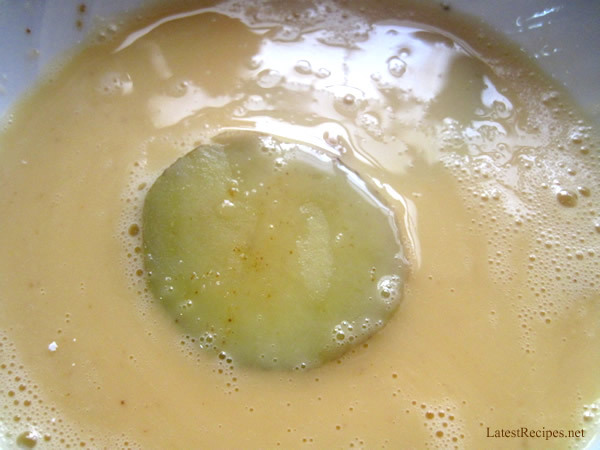 Beat egg in another bowl, add milk, season lightly with salt and pepper. 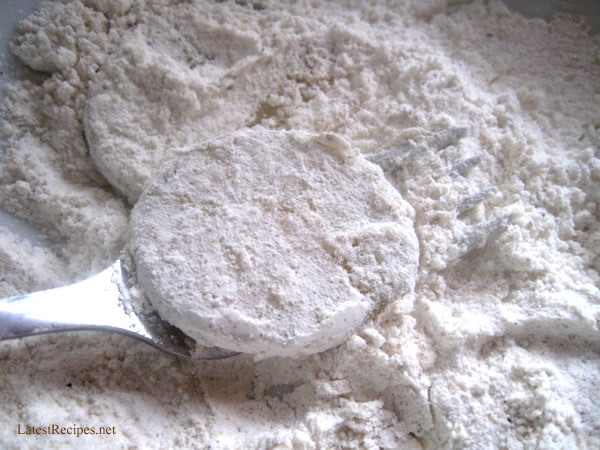 Dip each potato disc into the milk and egg mixture, then dredge thoroughly in the seasoned flour mixture. 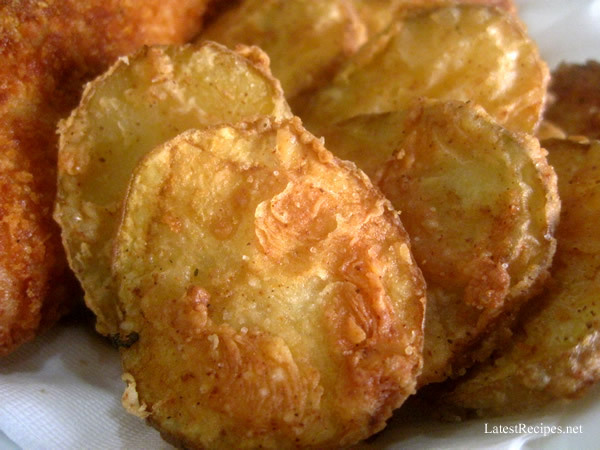 Deep-fry potatoes without overcrowding, until crisp and golden. Drain on paper towels and serve with fried fish or chicken. Enjoy! 2 Responses to "Mojo Potatoes"
Is it necessary to refrigerate the potatoes after covering them flour mixture? Is it okay if i cut it first before steam it?